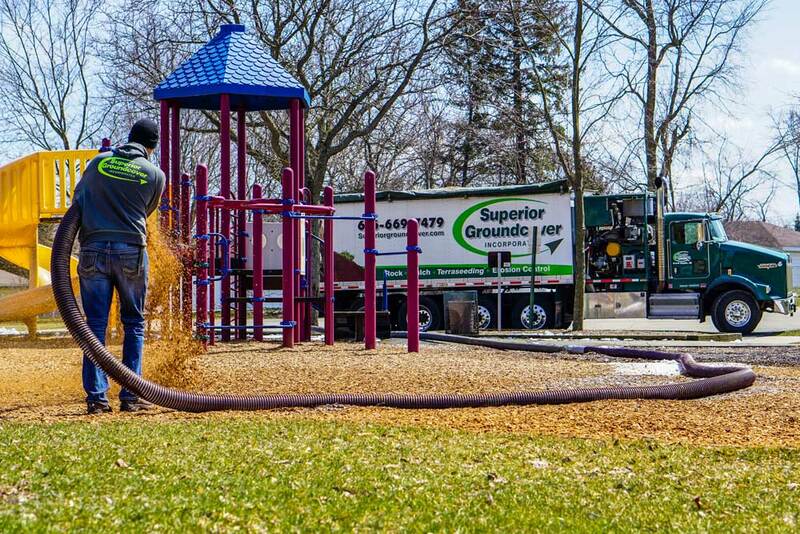 Mulch Blowing Services | Hundreds of Thousands of Cubic Yards Across the U.S.
Superior Groundcover, Inc. was established in March of 2000, introducing the first Express Blower® truck to West Michigan. 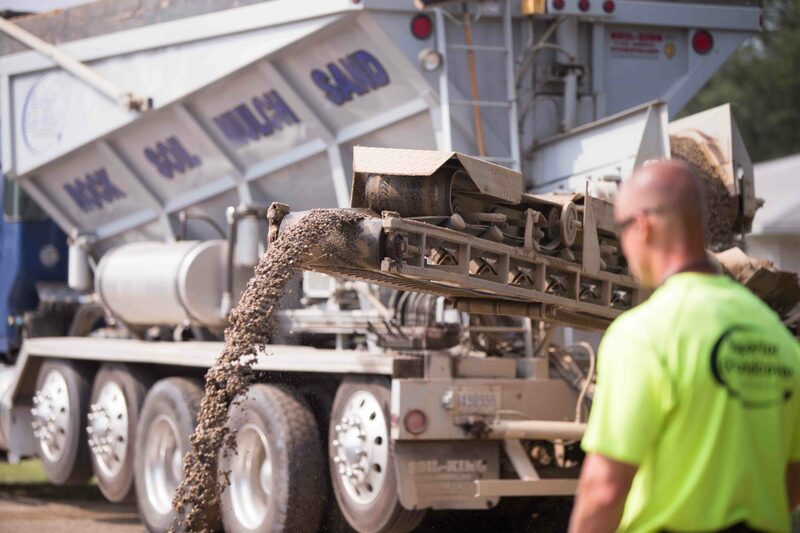 A fantastic team and loyal customers have helped Superior grow to be one of the largest blower truck fleets in the United States, as well as operating a slinger truck fleet throughout Michigan and Indiana. 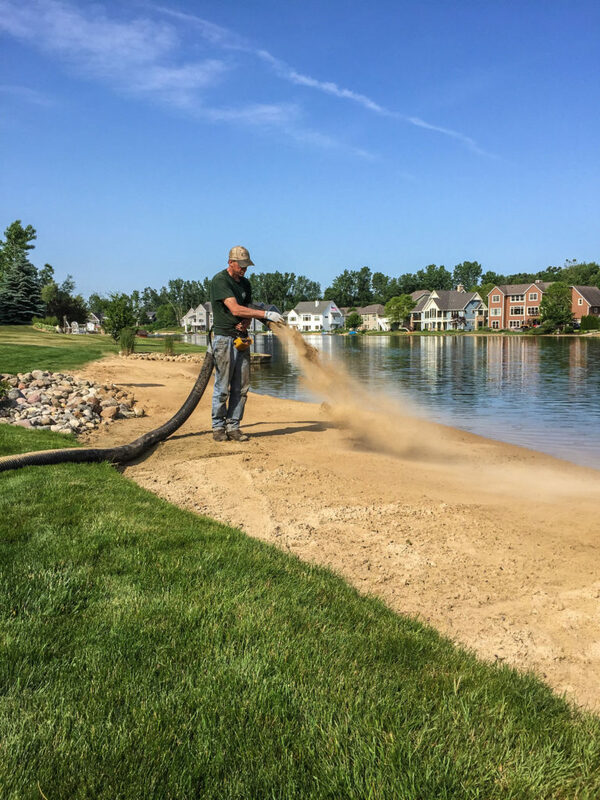 We serve clients in various industries, teaming up on projects including landscaping, playgrounds, green roofs, foundation drainage, erosion control, turf closure systems, hydroseeding and more. 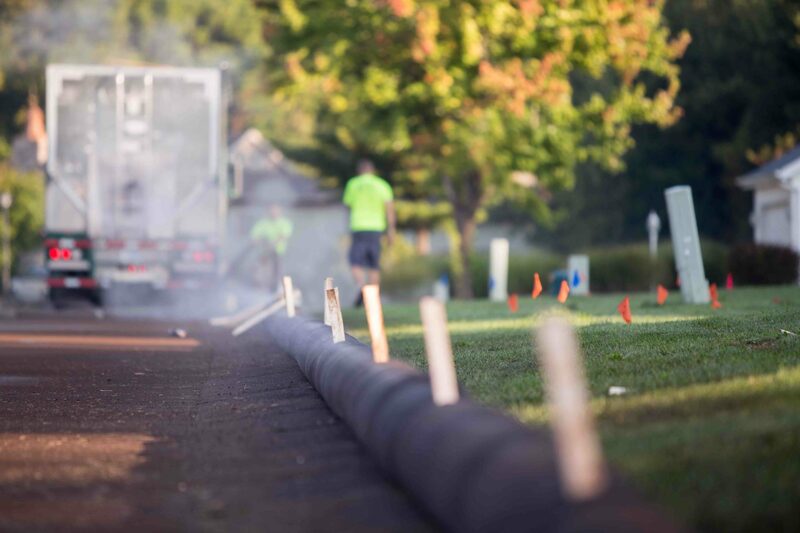 We are dedicated to providing unmatched service to clients in each industry, and look forward to teaming up with you on your next project! 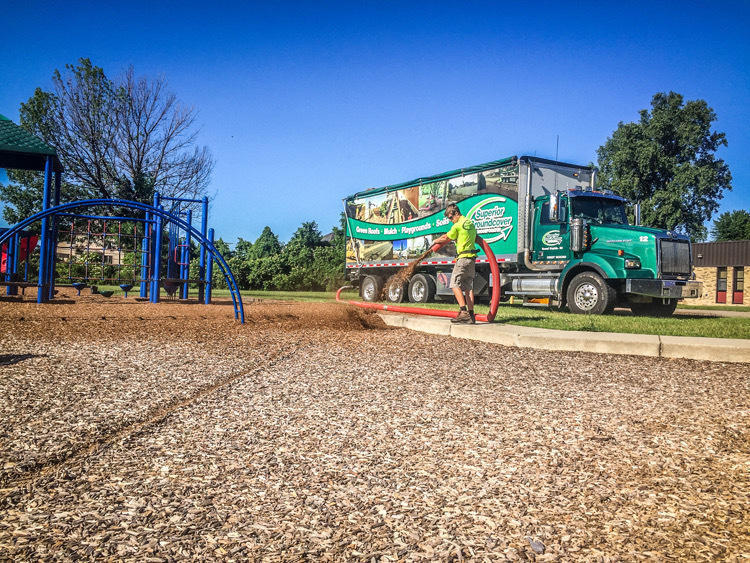 Superior’s team places hundreds of thousands of cubic yards of mulch, playground wood fiber, aggregate, compost, green roof soils, and sand each year throughout the United States. 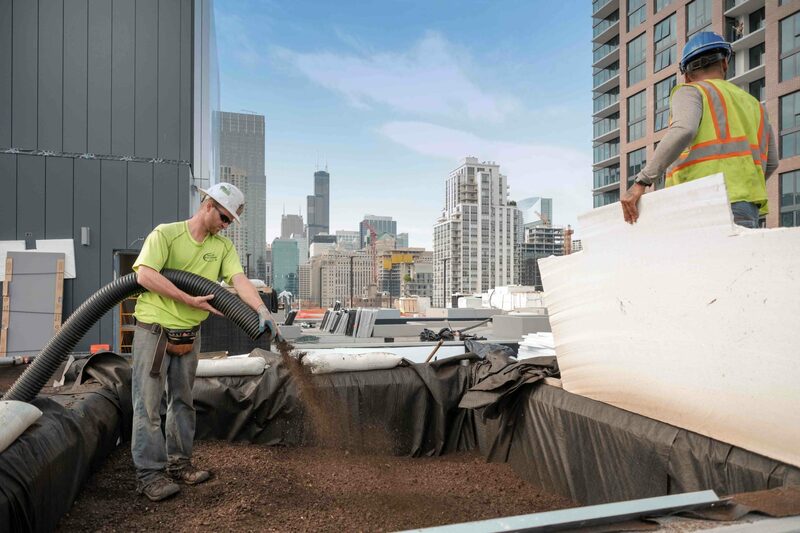 You may find us installing stone in a tunnel in Detroit, landscape bark in Grand Rapids, playground mulch in Indianapolis, compost in Sault Ste Marie, sand in Alabama, or green roof soil on a rooftop in New York. 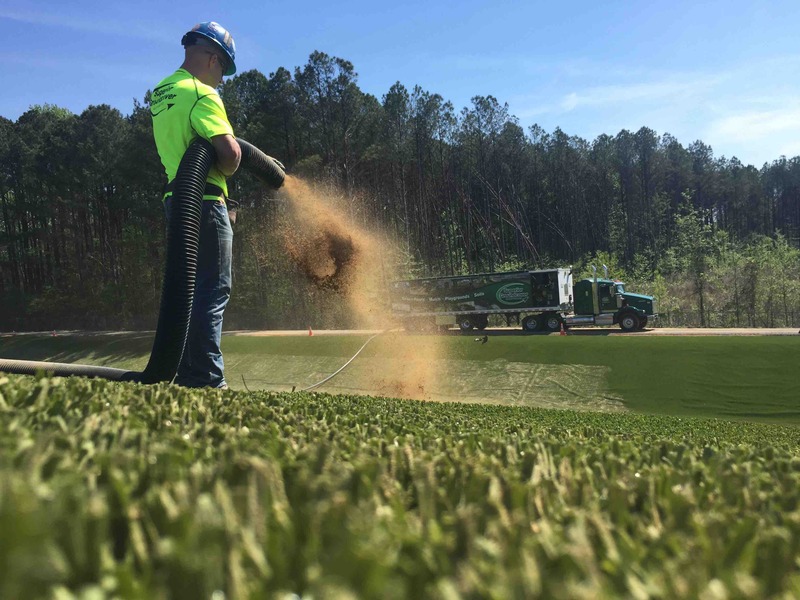 Everything you need to know about hydroseeding. 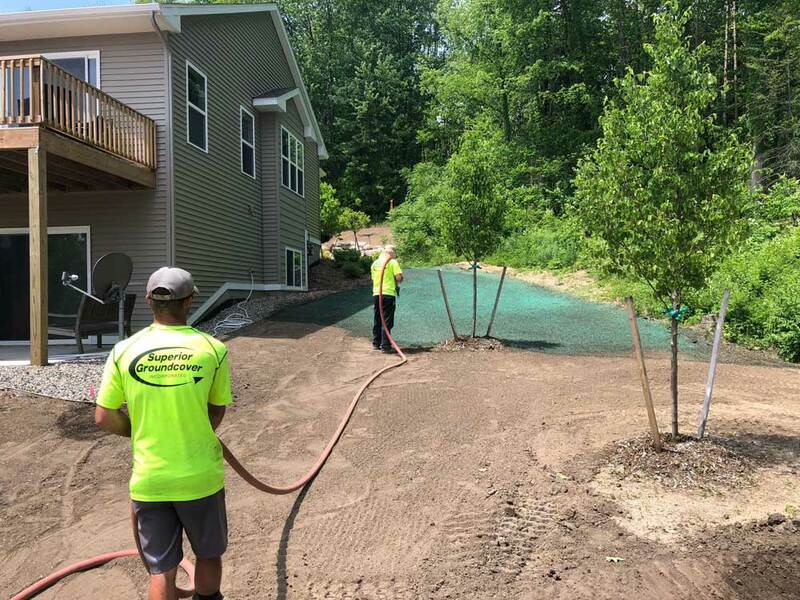 At Superior Groundcover, we understand that each client has a unique vision. We take a team approach to help identify your needs and achieve your goals. 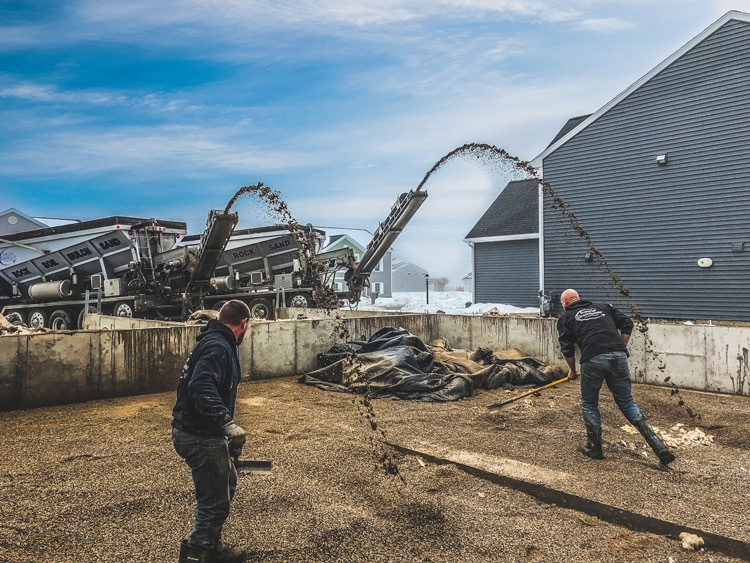 The capabilities we have with our unique equipment provides our customers with installation solutions for various materials on worksites throughout numerous industries. We do supply material for projects listed within each service, but we are not a "material producer”, “material supplier”, or “material retail yard." Slinger Trucks - Conveyor style of installing materials. 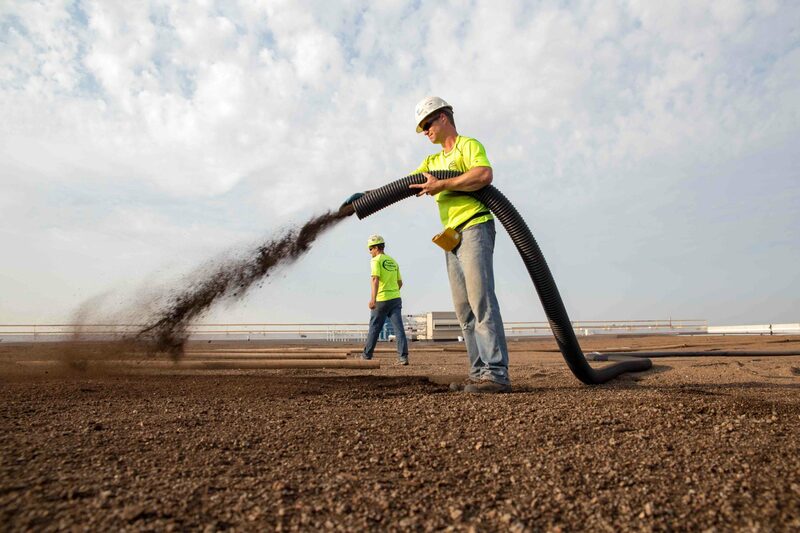 Hydroseed Trucks - A water-based slurry.